Health and fitness apps provide step by step guidelines that ensure users get in shape within no time. You do not have to hire an expensive trainer anymore. 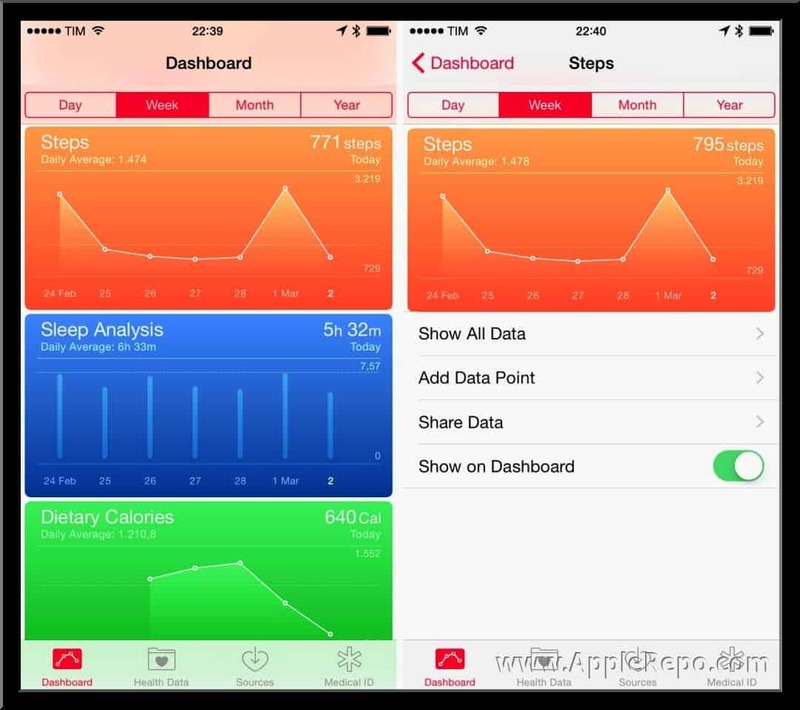 Here are the top 10 health and fitness apps for iOS ad Android. This is a free health and best fitness app from Nike. It allows users to track their pace, distance and time of their runs. It is a smart app that can pause and start up when the user does so. This means that, if the user needs to catch a breath, they do not have to stop it. Once the user is done, they are in a position to share their route on Facebook. It is a pared back and slick app that is easy to use and can be downloaded from Google Play Store. Yoga is not easy to go about on your own. However, with this amazing app, you do not need assistance from anyone to learn Yoga. It has over 280 poses with clear instructions and advice to help you start doing the feathered peacock and downward facing dog within no time. Yoga Studio includes around 30 Yoga classes and allows you to create custom classes. This app helps you time your rides, view route maps, track the distance you have ridden, see your performance graphs and many other activities. With additional sensors, this app can also record the speed of your bike, your heart rate, bike power and bike cadence. Alerts will inform you how your ride is going on. It also lets you compete against previous rides. This is a fully featured app for running. With this app, you can track your distance, speed, burnt calories, and elevation. Also, it allows you to set some training goals, find and create routes, view historical data and graphs of your workouts. It also lets you receive audio feedbacks for all miles you cover. It is easy to use with a user-friendly interface. This app will be a great resource if you need to get rid of a fat belly and acquire a desirable physique. You need to stick to a workout routine for best results within no time. This is another free health and fitness app. It allows users log their workouts to track their progress. To ensure that you remain motivated, this app incorporates some points to be earned, achievements to unlock and quests to beat. It has a supportive community and attractive user interface to ensure you get the best out of it. This app turns your workouts into an amazing experience making you feel like you are playing some game rather than working out. Moves are much more than a health and fitness app. It has a step counter to track your running and walking. It is designed in a way that it can be left working the entire day. This means that it performs similar functions as dedicated fitness trackers such as Fitbit Force. Also, it allows you to plot your routes and see the number of calories you have burned. To help you find some of the latest health and fitness apps, consider conducting some internet research. Visit the Fuse crunch tech news website to find out the latest technology updates. Additionally, you will be able to discover the latest health and fitness gadgets to help with your workouts. The website is frequently updated. Therefore, the information you come across is up to date. Make sure you bookmark it to enable notifications on the latest developments in technology. This app is amazingly great with the excellent user interface. It allows you to run and track your time and distance with threats from behind. These threats are delivered via an audio giving you the motivation to run faster. It has a storyline with specific mission and goals. This app offers numerous free workouts to help with your fitness goals. It has easy to follow and step by step video and audio instructions. It has a premium subscription that allows you to access many other features including more HD workout videos. It is free and can be downloaded from Google Play Store. This will turn out to be an incredible resource if you are looking to perform bodybuilding and strength training. It is loaded with numerous routines that target specific body parts and comes with a complete workout planner and detailed instructions. The Pro version has additional features and lacks ads. If you are looking to lose weight and acquire a beautiful physique, or you just want some abs for the beach, health and fitness apps can help you. You will become healthy and acquire a desirable body shape. Want to Lose Weight? Use Calorie Tracker for the iPod Touch! Understanding your iPhone More Vividly!